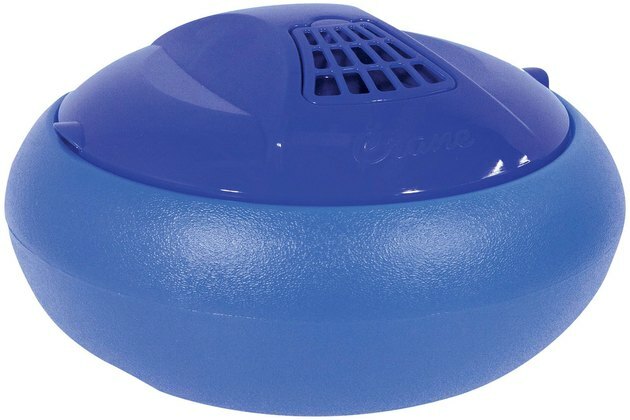 Vaporizers use steam to increase indoor humidity levels. This can help prevent dryness and irritation of the nasal passages during the dry, winter months and ease breathing in infants who are ill with a respiratory virus. Without proper maintenance and frequent cleaning, however, vaporizers can increase bacterial and mold growth and put your baby at risk for potentially severe illness. Carefully read and follow the use and care instructions included with your vaporizer to prevent these risks. Place the vaporizer in a safe location, away from your baby's crib and out of the reach of any pets or other children in your home. The vaporizer should be on a flat, stable surface, such as a desk or dresser, to prevent tipping and burns. 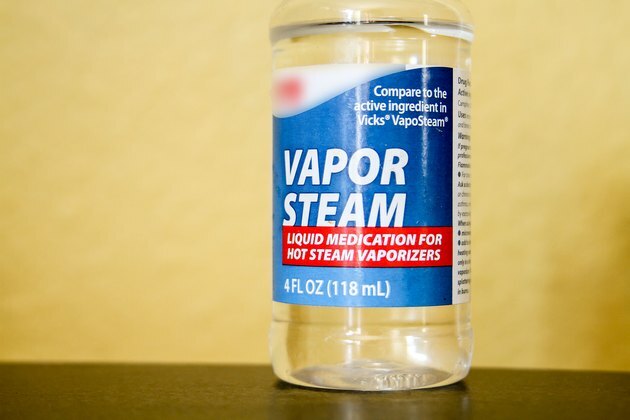 Do not place the vaporizer near photographs or other items that may become damaged by steam. Run the vaporizer during the night, as needed, but check frequently for signs that the humidity level in your baby's room is too high. If condensation appears on the windows or if surfaces become damp, it is an indication that the room is too wet. High humidity levels increase the risk of mold and bacterial growth inside your home. Add any medications to the vaporizer as instructed by your baby's pediatrician. Lavender and eucalyptus oil are soothing and can help clear congestion in infants, according to AskDrSears.com. Check the manufacturer's instructions on your vaporizer to determine the correct procedure for adding medications or essential oils to your unit. Replace the water in your vaporizer every day. 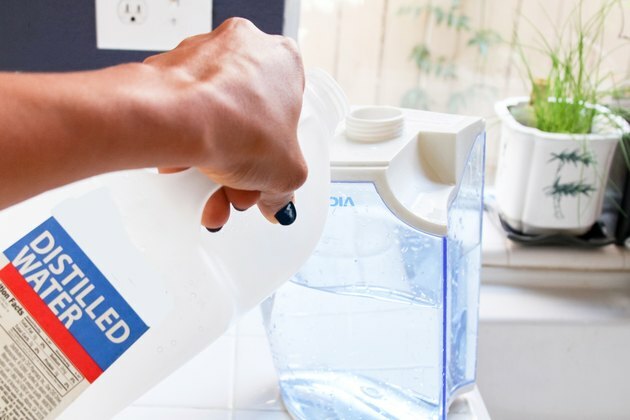 Wipe out the tank with soap and water and then refill the tank with distilled water. 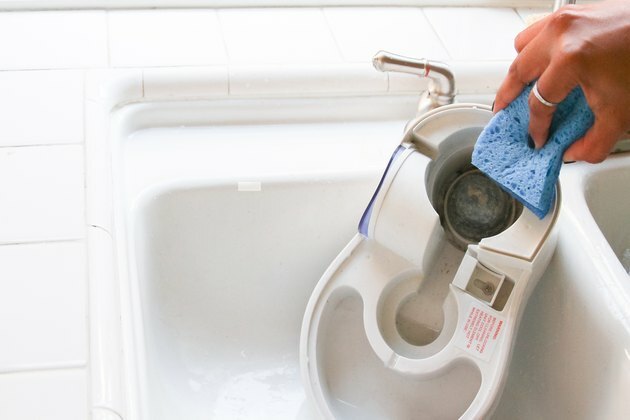 Ordinary tap water may contain minerals that are dispersed into the air along with the steam from the humidifier, explains the U.S. Environmental Protection Agency. Inhaling these minerals may be hazardous to your baby's health. Clean and sterilize the vaporizer every few days by scrubbing the inside of the water tank to remove scale and film, and then cleaning the tank with a 3 percent hydrogen peroxide solution. Rinse the tank very well before refilling. 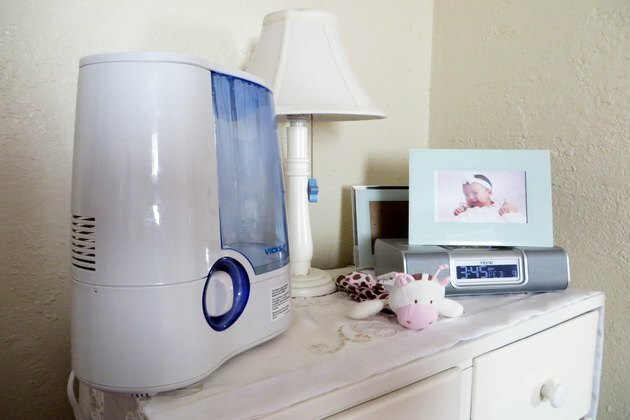 Dr. William Sears recommends vaporizers over cool-mist humidifiers for babies because vaporizers kill bacteria and other germs during the water heating process. Indoor humidity levels should never exceed 50 percent, according to the EPA. 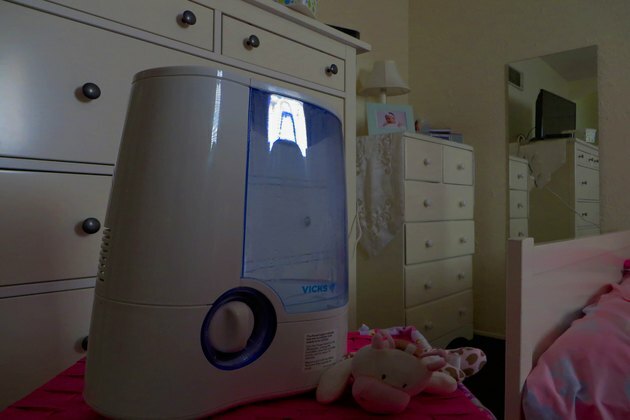 Parenting: Ask Dr. Sears: Humidifiers or Vaporizers?